Autism spectrum disorder (ASD) is a comprehensive term used to describe a group of neurodevelopmental disorders. It is characterized by problems with communication and social interaction. Children with ASD can recover with our autism treatment techniques. People with Autism Spectrum Disorder often display repetitive and stereotyped interests or patterns of behavior. Children suffering from autism have trouble communicating. They are having difficulty in understanding what other people think and feel. This makes them very difficult to express themselves with words or through gestures, facial expressions, and touch. We provide the best Autism treatment to the children of age group 2 to 17 years old. When a child is diagnosed with an autism spectrum disorder, then the family faces the next challenge: Choosing autism treatment and therapies for a child. What are these treatments and therapies? How much do you know about them? How can a family best evaluate whether a therapy for autism treatment is working for their child? 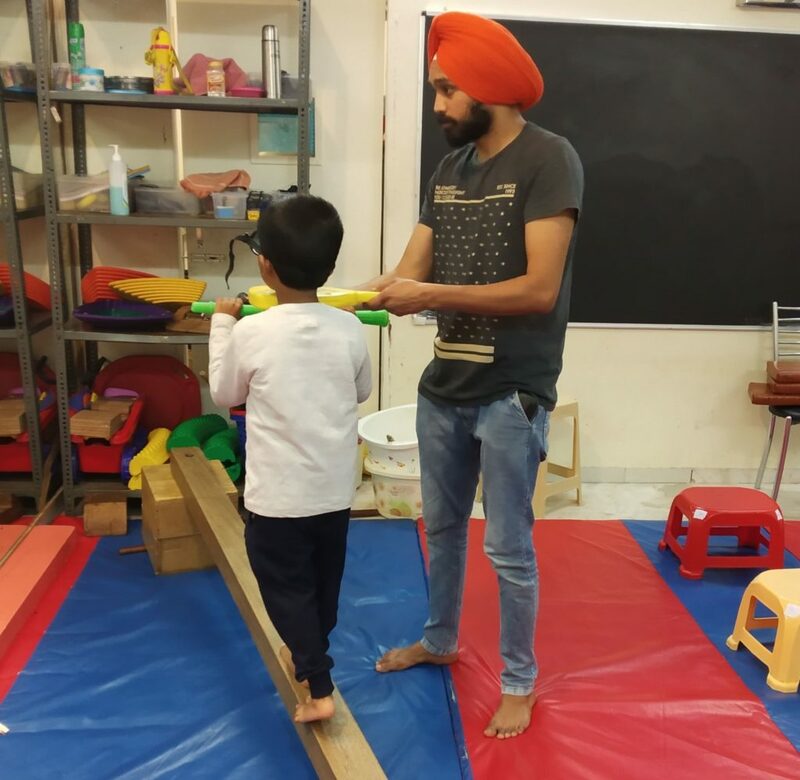 All these are the best foreign therapies for an Autistic child. Autistic disorder – It refers to problems with social contact, communication and imaginative play in children under 3 years of age. Asperger’s Syndrome -These children have no problem with language – in fact, they score in the average or above on intelligence test. But they have only social problem and there is a limited scope of interests as children with ASD. Pervasive developmental disorder or PDD – also called atypical autism. This is a type of catch-all category for children who have some autistic behavior but who do not fit in other categories. Childhood disintegrative disorder – These children develop normally for at least two years and then lose some of their communication or social skills. This is a very rare disorder. Our therapy center provides therapies for all these types of autism and all our children with Autism improve fast. Symptoms of autism appear during the first three years of life and need proper autism treatment as soon as possible. Some autistic children show symptoms from birth. Others begin to develop normally initially, only to slip suddenly into symptoms when they are 18 to 36 months old. However, it is now recognized that some people can not show signs of communication disorder unless the demands of the environment exceed their capabilities. Autism in boys is four times more common than in girls. Children suffering from autism need proper treatment asap with the best therapies. Autism symptoms in children usually become apparent between 12 to 24 months of age. However, the symptoms may also appear before or afterward and our autism therapy techniques are very useful to put child back on track for normal development. Early symptoms may include a marked language delay or delay in social development. environment, such as negative feedback of a specific sound. When a pregnant woman is exposed to some chemicals or drugs, her child is more likely to be an autistic child. These risk factors include the use of alcohol, maternal metabolic conditions such as diabetes and obesity and antisocial drugs during pregnancy. Exactly why autism happens is not clear. Research suggests that it can be caused by abnormalities in parts of the brain that interpret sensory input and process language and child improves with early intervention autism therapy. An injury or insult to the nervous system due to environmental factors. An unexpected reaction to vaccines. There is a lot of talk about the MMR vaccine causing autism. Sedentary lifestyle, using too many electronic gadgets like TV, smartphone, etc, do add to Autistic behavior. Our autism treatment techniques are very effective and children quickly start improving. Children suffering from autism spectrum disorder cannot reach the milestones of development similar to their peers, or they can demonstrate the loss of previously developed social or language skills. For example, without autism symptoms in children, a 2-year-old can show interest in the simple games. Without autism, a 4-year-old child can enjoy engaging in activities with other children. 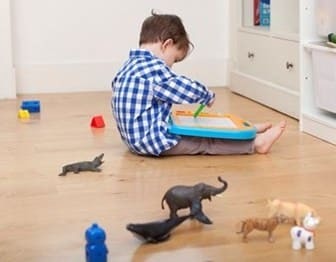 A child suffering from autism may have difficulty in communicating with others or it can be completely disliked. If your child has autism, then contact us for the best treatment of autism. Foreign Therapists visit IIAHP twice a year for teaching new techniques of autism treatment to Staff. Senior IIAHP Staff takes training in foreign countries to keep the team updated about latest techniques for the best results with our therapies. 100% area under CCTV surveillance and all the parents are allowed to check footage whenever they want to check for any doubts in their mind. For all-round development of a child, we provide the advanced intellectual program that includes Reading, Maths, Encyclopedia, etc. 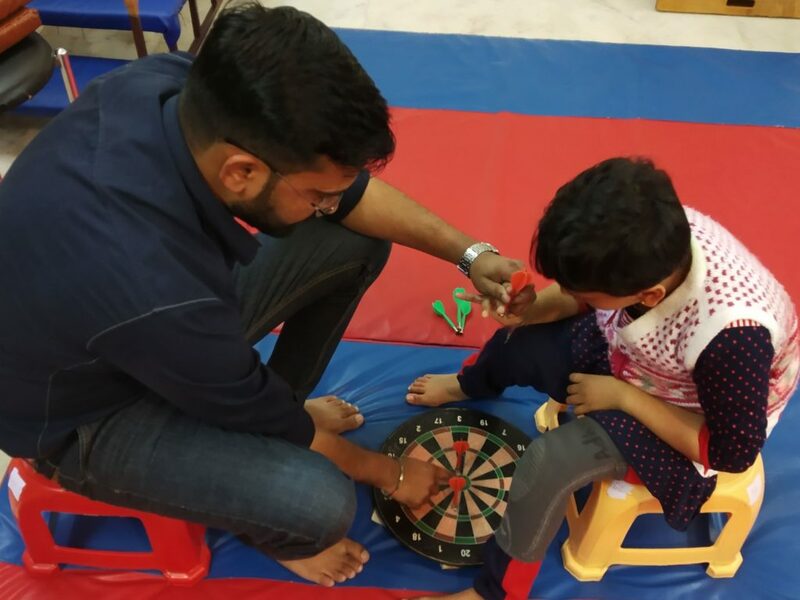 We provide Autism treatment, Down Syndrome treatment, Cerebral Palsy treatment, Speech Therapy, ADHD Treatment, Dyslexia Treatment, Mental Retardation Treatment, Developmental Delay Treatment, Slow Learners Treatment, and Therapies for Special Needs Children, etc.